My son and I are often together. He doesn’t cry when I leave him at preschool, or with family but by bedtime he wants one person only. Mama. This week I am going to Nashville for Blissdom, a social media conference for women and it will be the 3rd time I have been away from my son in his life. I hate leaving him and this activity was as much for me as him. His hand will be for me to wear when we are away and mine for him to wear if and when he misses me. * I wanted to add an idea that a Twitter follower had which was using this for military families during deployment! Fantastic! Gather your materials. Today we are using Shrinky Dinks- yes they still exist! I got ours at Micheal’s, as well as colored pencils, scissors, a baking sheet with parchment paper, a hole punch and some ribbon or plastic thread. 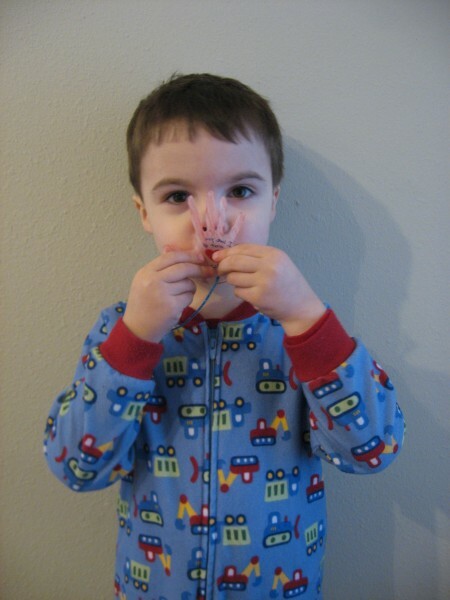 My son picked his out, honestly I would use ribbon if I were you, the plastic thread doesn’t lay flat when you wear it. 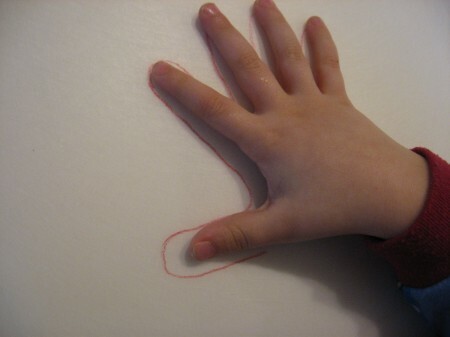 Start by tracing your little one’s hand with a colored pencil. Ask them to dictate ( or write if they can) what they want to say. Make your own hand as well. 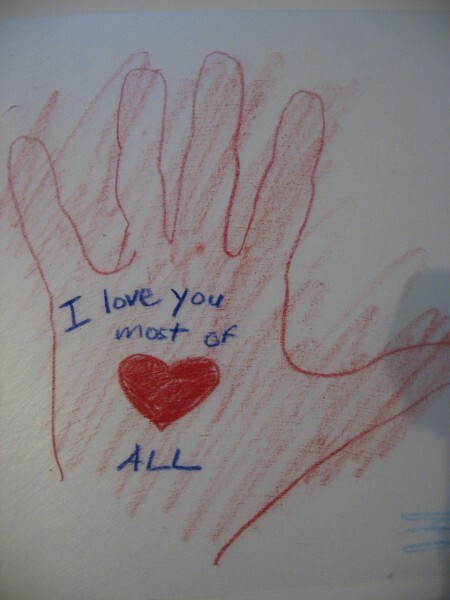 Remember your hand will be worn by your child so write them a note. Don’t take your eyes off them when they lay flat it’s time to take them out. Let cool and thread the ribbon and thread through. Pop it on and when you miss each other you have a message to remind you of the bond and love you share! He is showing me how he will kiss it when I am away ! 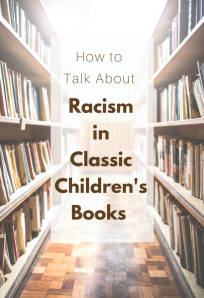 This is the book that inspired this activity and it would be wrong not to include it! 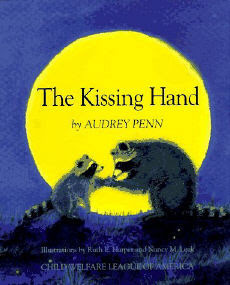 The Kissing Hand by Audry Penn is an absolute favorite . Chester is a raccoon who like most of us doesn”™t like change. In his case it”™s starting school. He wants to stay home with his mama and play with the friends he already has instead of going to school away from her and his friends. So his mama explains to him the magic of the kissing hand . The real magic is the message that we have to do things that scare us sometimes but that the love of our family is always with us to help us through. Go get this book. See how perfect is this, mostly for me this week, I hate leaving my son, letting go is good for me but man I miss his snuggles when I am away! Previous Post: Letter Of The Week ! we haven’t read the kissing hand in quite sometime. i think you’ve just given us our weekend craft. (and reading material to go with it)! .-= wendiwinn´s last blog ..i’m not drunk. i’m reading dr. seuss. and i’m slurring because his books are like 500 pages long. or it could be i poisoned myself with green eggs. =-. this is such a fantastic craft/idea. our daughter spends a couple of weeks with my parents each summer (she’s 2 1/2 now) and this will be perfect for next summer. hope you have a great time at your conference and know that it’s good for him to learn that mommy and daddy sometimes have to go away but that they come back. Love this craft. 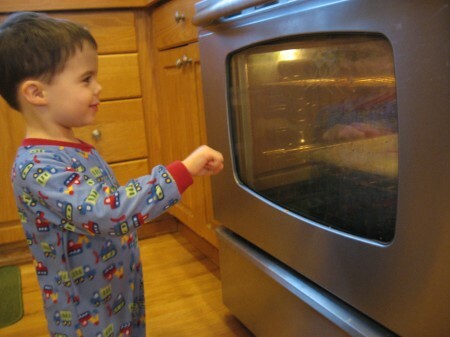 Can’t wait to make it with my little guy. What a wonderful idea! 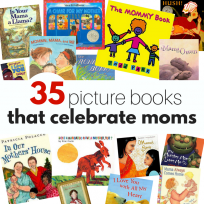 This is one of our favorite books and can’t wait to do the activity with my youngest when she starts preschool in the Fall. I am also going to pass along this idea to some military friends. Love it! OH, that was so sweet! I am a little (a lot) short on sleep so my reaction skills may be a tiny bit off….but that made me tear up, both what you shared with us and thinking of him kissing your hand while you’re gone, oh precious. 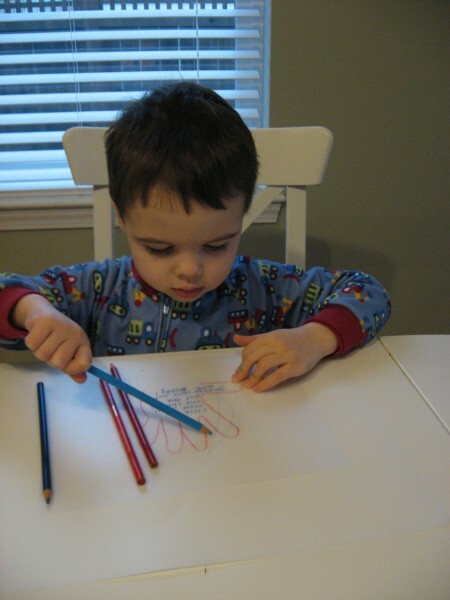 .-= Deborah´s last blog ..Do you want to teach preschool? =-. I love that story, it really helped my boys with the Kindergarten transition. I love this craft idea! Thanks for sharing. .-= Kristin´s last blog ..Spy Birthday Party – Part I, The cakes =-. 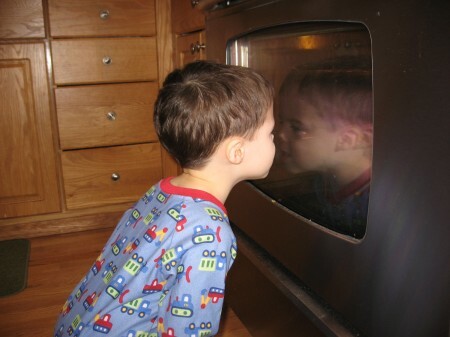 Where do you buy the shrinky-dink material? I checked Walmart (I knew it was a long shot…) nothing. DH has never made them and so this is as much for the boys as for him, lol. We made the Valentine cupcakes today… except used blue and yellow (all I had were fish picks so went the sea-weed-green route). Turned into “sea monster eats the car stuck in the green slime” – thanks for the color mixing encouragement! I love this! 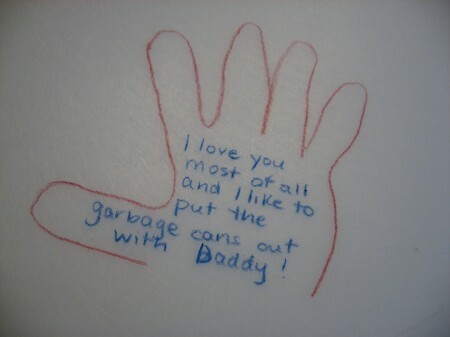 I think my favorite part is the message your son had you write. What is it with boys and trash? 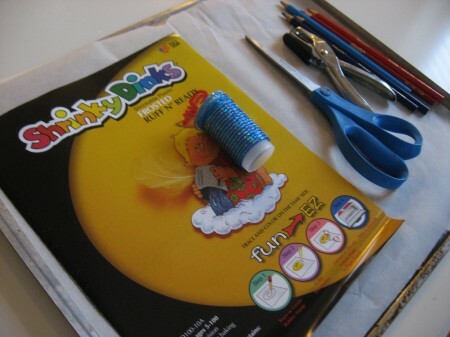 Nikki: I’ve read before that you can use #6 plastic instead of actual Shrinky-Dinks, but I’ve never tried it. What a precious idea! My youngest would love this, especially as he gets ready for school. .-= Lolli´s last blog ..Shutter Speed â€“ A Bloggography Tutorial =-. Thank you, thank you, THANK YOU for this project. My mother in law was recently diagnosed with cancer, and the prognosis is not good, and I’ve been trying to think of something my 3 year old son can do for her that would be special for when we can’t be with her. This is just perfect. I love that last shot. What a sweet idea. 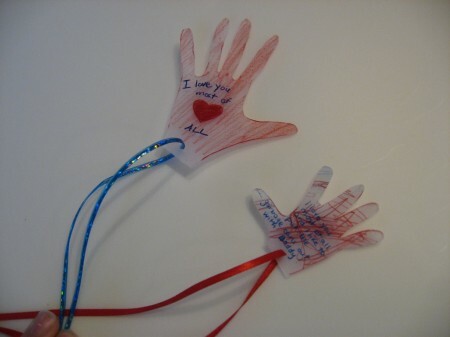 I have some shrinky dink sheets around here and that looks like a great way to use them! Thanks! We’ll be near a Michael’s on Saturday so we’ll pick them up then. Allie, thankyou for keeping the crafts all as inexpensive as possible; we truly appreciate it. We’ve had so much fun with your ideas and tailoring them to our two kids. I’ve been reading for over a year now and all my friends comment, “that’s such a cute idea…” when they visit (don’t worry, I give credit where it’s due 🙂 ). We’re using label-stickers (no sticker machine), hand writing and using shipping tape to “laminate” the covers. What a wonderful & creative way to create that connection when we can’t be together. I used to travel often for business and could tell that it was taking it’s toll on the kids. It took us a while to connect the dots but certain things only happened when I was gone (like my daughter pulling & eating her hair – yeah, it was bad). Some things that helped us was that I would leave little notes for my husband to give them throughout my absence when they started to get sad. I would record a short video or take a picture of myself each morning and send it to them. 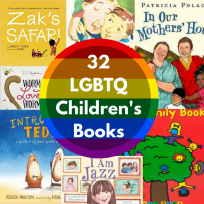 The big thing that helped us was that I would record a reading of our favorite bedtime stories and my husband would share the recordings with them each night. That was such a hit! 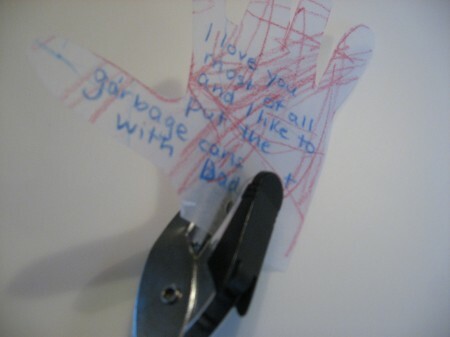 I really like this idea and will be traveling soon so I’m going to hunt down some shrinky dinks. .-= Gina´s last blog ..What Do Farmers Eat…and Avoid? =-. What a sweet idea!! I’ve never been away from Ladybug overnight (she’ll be 3 in May) but I know the day is coming soon. This is wonderful – thank you! .-= Heather @ Not a DIY Life´s last blog ..Mamavation Week #6 =-. I’m just like everyone else, I saw this and said AWWWW! :>) I linked to this on my weekly roundup, the post is under my name. Thanks for sharing! .-= Lenetta @ Nettacow´s last blog ..Link Roundup – MELTING Edition =-. 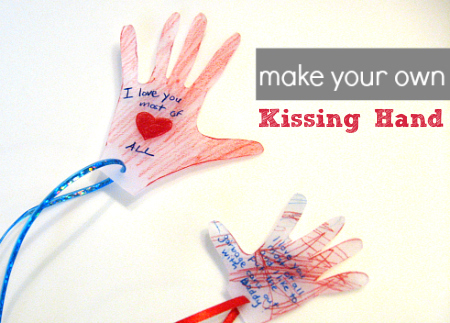 I always do a kissing handprint activity at the start of the school year but I never thought of turning it into a necklace! Very cool! This brought tears to my eyes what an excellent deployment idea! WeWILL be doing this! Thank you so much! I will be sharing this with my other military spouses! This is such a cute idea, great for back to school (daycare). I’m going to hunt down the book too! Thanks! I love this activity! I feel the same way about my boys, mind you they are young men! But when they were little we rarely left them so I totally get how you feel! I am starting a new job in a kindergarten (maternity leave) but I will be there at the beginning of the year in 2013. I am definitely going to use these with children for their first weeks!